Mitchell Historic Properties is a privately owned and operated company based on Galveston Island, Texas and part of Mitchell Family Corporation based in The Woodlands, Texas. Imagine living in a historic building in the heart of downtown Galveston, surrounded by the city’s best shopping, dining, arts, and culture. Mitchell Historic Properties offers stunning residential real estate in Galveston that combines the best of historic charm and cont emporary style. You’ll be within minutes of your favorite downtown businesses, making it easy to enjoy everyday pleasures like morning coffee, casual lunch with friends, or a romantic dinner date. Constructed in 1876, the Butterowe Building hosts six light-filled loft apartments, each one featuring a private laundry room, spacious closets, and vaulted ceilings. The Rosenberg Building is a charming, three-story property located directly across from Saengerfest Park. Built in 1871, this property has kept much of its historic appeal, like the original hardwood floors and an atrium flooded with natural light through several skylights. With a unique combination of historic elements and contemporary flair, the 1878 Thompson Building features seven luxury lofts with amenities such as stainless-steel appliances, quartz countertops, a gated parking lot, and gorgeous hardwood floors. For more than three decades, Mitchell Historic Properties has been working to revitalize Galveston’s most treasured historic properties and nurture commercial diversity. We’ve restored many of the Strand’s iconic buildings, and our award-winning restoration efforts have also served to promote the growth and development of local business. The League Building, a Renaissance Revival-style, cast-iron building constructed in 1871, is one of the best-known historic properties in the Strand district. This building features a beautiful event space available for lease on the third floor. The three-story Armour & Co. Building is home to Stuttgarden Tavern, welcoming visitors with patio seating on every floor. The first floor patio is pet friendly, while the third floor patio offers the best views of the Galveston Harbor and the Cruise Ship Terminal the city has to offer. The Dargan & Tobyn Building, built in 1870, is home to some of Galveston’s most popular retailers and offers event spaces on the second floor with balcony access. The Washington Building was formerly a bustling hotel, now offering office spaces and delighting patrons with its popular ground-floor restaurant. When you lease from Mitchell Historic Properties, you’ll enjoy an impeccably restored property with a generous dose of historic charm, in addition to exceptional proximity to the city’s downtown district. Welcoming visitors to Galveston with three exquisite hotels to choose from, Mitchell Historic Properties is a leader in the city’s thriving tourism industry. We’re dedicated to upholding the rich tradition of world-class accommodations and waterfront luxury that Galveston is known for, preserving the city’s legacy for years to come. Mitchell Historic Properties is proud to own three of the top historic hotels in Galveston, each one offering a unique experience for tourists, business travelers, and other visitors. 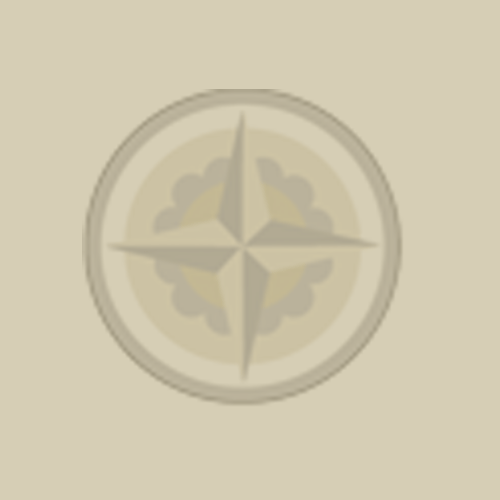 The Tremont House is a Wyndham Grand Hotel, offering an elegant getaway with plenty of coastal charm. This boutique hotel is one of the city’s most beloved historic properties, beautifully restored and maintained by a welcoming staff. In addition to accommodations, The Tremont House is also home to three distinct dining venues: the Toujouse Bar, the Tremont Café, and The Rooftop Bar. The Harbor House at Pier 21 is a waterfront property that puts guests within steps of the harbor and cruise ship terminal, providing comfortable accommodations just minutes from the Strand National Historic Landmark District and all of Galveston’s top highlights. Harbor views, onsite boat slip rentals, and complimentary breakfast are just a few of the amenities that guests will enjoy at The Harbor House, making it the perfect spot for a coastal getaway. The Hotel Galvez and Spa is a stunning property that’s been a Galveston icon for more than a century, drawing visitors with its beachfront location and AAA 4-Diamond rating. With a rich history that dates back over 100 years, the Hotel Galvez offers contemporary style with a chic, vintage touch. Here, guests experience true beachfront luxury. Guests staying at The Tremont House and The Harbour House Hotel can enjoy the pool and spa at the Hotel Galvez via a short hotel shuttle ride. Mitchell Historic Properties oversees Galveston properties owned by the George and Cynthia Mitchell family. These properties include three hotels, fourteen historic buildings, two parks, a parking garage, and the Pier 21 complex all located in Galveston’s Downtown area. The Mitchells are committed to the overall success and revitalization of The Strand District, Pier 21 and Galveston Island. For more than 30 years, the Mitchells have invested more than $175 million in rehabilitating historic properties in The Strand National Historic Landmark District. Immediately following Hurricane Ike which struck Galveston on September 13, 2008, MHP launched a massive cleanup and restoration program in downtown Galveston. Estimates by staff put the cost of disaster relief, cleanup and building renovation at more than $24 million on more than 20 buildings. The family completed an $11 million renovation of the historic Hotel Galvez as part of the hotel’s centennial celebration in 2011. The Strand Seaport, encompassing The Strand and adjacent harbor area including Pier 21, includes commercial & residential properties including loft apartments, museums, shops, galleries, hotels, restaurants, nightclubs and offices for any array of professionals. This is largely due to the efforts of the Mitchells. Known for its historic architecture and sparkling Gulf waters, Galveston Island is a fascinating place. 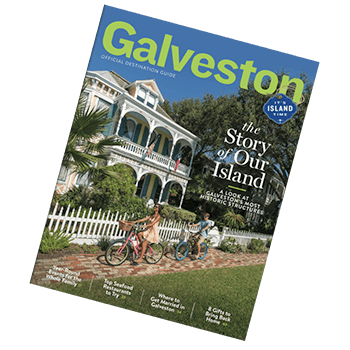 Make your next visit easy with The Galveston Island Visitors Guide! Click Here to get the Guide!